Computing giant reveals major investment for IoT research in big push on connected technologies. Dell Technologies has unveiled plans of a major new IoT push, including a new division specifically targeting new connected technologies. At an event in New York, the company revealed that it is set to invest over $1 billion in research and development of Internet of Things technology over the next three years. The company is also creating a new Internet of Things division, headed up by former VMware CTO Roy O'Farrell, aimed at rolling out new IoT products and services within Dell itself. Dell Technologies, which includes entities such as Dell EMC, RSA and VMware, will use services and tools from its family of businesses to create and develop new IoT products. This includes Project Nautilus, a new software offering that takes in and analyses data streams from IoT gateways in real-time. 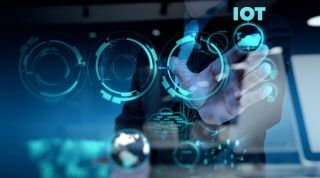 There is also Project Fire, a hyper converged platform that will simplify management, compute and storage for IoT applications, and Project Iris, an RSA service which aims to provide effective security for IoT end points. Dell Technologies CEO Michael Dell said that AI and IoT are helping to create one "interdependent ecosystem from the edge to the core to the cloud." "IoT is fundamentally changing how we live, how organisations operate and how the world works," he added. "Dell Technologies is leading the way for our customers with a new distributed computing architecture that brings IoT and artificial intelligence together in one, interdependent ecosystem from the edge to the core to the cloud. The implications for our global society will be nothing short of profound."